Multi-ethnic for centuries, the demographics of Latvia’s population shifted drastically in the 20th century due to the World Wars, the emigration and removal of Baltic Germans, the Holocaust, and occupation by Soviet Union. Of the total population in 1897, the Latvians composed 68.3%. Russians accounted for 12%, while Jews made up 7.4%, Germans 6.2% and Poles 3.4%. Of the total population estimated at present, the Latvians and Livonians, the indigenous peoples of Latvia, compose about 59.2% of the population. Russians account for 28%, Belorussians 3.7%, Ukrainians 2.5% , Poles 2.4%, Lithuanians 1.3%, Jews 0.5%, Roma people 0.4%, Germans 0.2%, Estonians 0.1% and others 1.7%. The Republic of Latvia is one of the three Baltic states in Northern Europe. It is bordered to the south by Lithuania, to the north by Estonia, to the east by the Russian Federation, and to the southeast by Belarus, while across the Baltic Sea to the west lies Sweden. As Baltic people, Latvians are culturally related to both Lithuanians and Estonians. Linguistically, however, the Latvian language has many similarities with the Lithuanian language but not with the Estonian language. As it is, the Latvian and Lithuanian languages are the only surviving branches of the Baltic languages of the Indo-European family of languages. 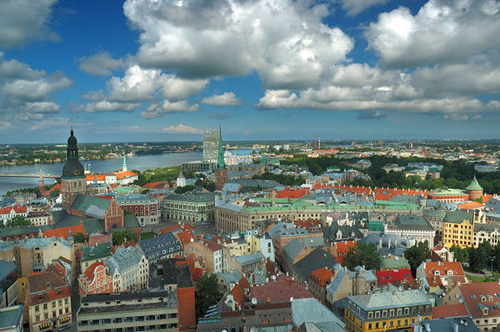 The most famous travel destination in Latvia is the capital Riga, a World Heritage Site. However, it is recommended most highly for travelers to go to many other great places, both urban and rural. Examples are Kuldiga where one can find Europe’s widest waterfall and Cesis with its medieval castle ruins. 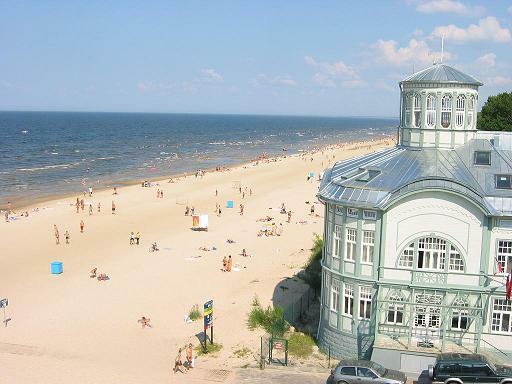 Another example is Liepaja with its unique former secret military town of Karosta and a magnificent beach. 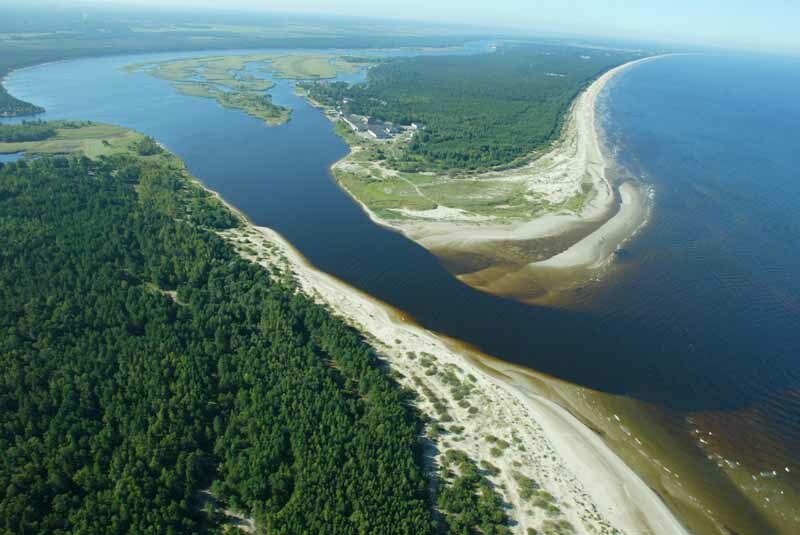 Latvia lies on the East European Plain, on the eastern shore of the Baltic Sea. However, its vegetation is much different from the rest of the plain. It consists of fertile and low-lying plains that are largely covered by forests. The highest point is the Gaizinkalns at 1,020 ft. above sea level. Latvia’s vegetation straddles the Central European and Northern European provinces of the Circumboreal Region within the Boreal Kingdom. Latvian geography belongs to the eco-region of Sarmatic mixed forests. The major rivers are the Daugava, the Lielupe, the Gauja, the Venta and the Salaca. 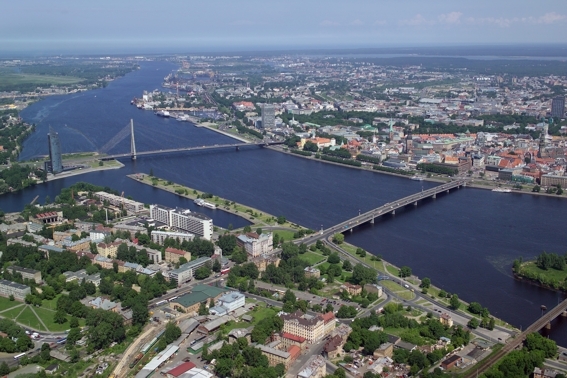 The shallow Gulf of Riga, which is an inlet of the Baltic Sea, is located in the northwest part of the country. Latvia is one of the famous trading posts in ancient Europe. Ancient documents cite the famous route from the land of the Vikings to the land of the Greeks that stretched from Scandinavia and passed through Latvian territory along the river Daugava to the Kievan Rus and Byzantine Empire. In the Middles Ages, when amber was more valuable than gold in many places, it was well known across the European continent that Latvia’s coast was the best place for obtaining amber. Latvian amber was well known in places as far away as ancient Greece and the Roman Empire. During the 12th century, German traders arrived in Latvia. Together with them were missionaries who conducted the campaign to convert the pagan Finno-Ugric and Baltic tribes to Christianity. 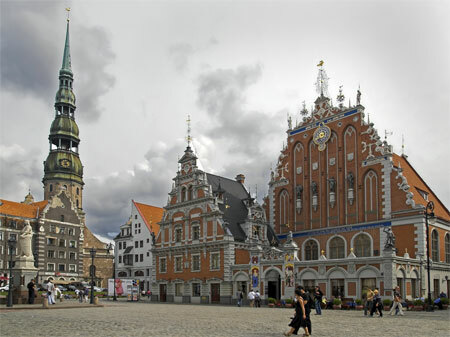 The Germans established Riga in 1201 and developed it to become the largest and most powerful city on the eastern coast of the Baltic Sea. Latvia became independent from Germany and Russia in 1920. Subsequently, it made remarkable achievements in agriculture, industry, economy, and social development. Latvia was incorporated into the Soviet Union in 1940. It gained its independence from the Soviet Union in 1991. Latvia offers travelers an awesome mosaic of picturesque medieval towns, country castles, museums and folk parks, ruined fortresses and grand palaces. With its 800-year history, the capital city of Riga offers “going back through time to ancient Europe” with the convenience of enjoying the popular holiday suburb of Jurmala just nearby. Kuldiga is a small town where ancient buildings have been preserved. At the same time, it features the widest waterfall in Europe. On the Baltic coast, which is always windy, Liepaja is considered the “City of Music.” On top of the Latvian folklore that the winds start from the city, there are well-known Latvian musicians whose ancestral lineages are traceable to Liepaja. Outside of Riga, the most popular attraction for tourists is Sigulda, with its many interesting castles and historical sites. In Jumala, one will find Livu Akvaparks, the biggest water attraction in Northern Europe. Tourists and hikers will marvel at the rich flora and fauna in Kurzeme, Latgale, and Vidzeme. Latvia offers a wide range of activities for travelers even in the evening, including practicing winter sports like snowboarding, cross country skiing, downhill skiing, competitive skating, etc. There are slopes that remain open until late at night! Different kinds of restaurants, bars, clubs, and entertainment centers are spread all over the urban areas and even in selected rural areas, catering to foreign tourists. Cosmopolitan and global in orientation, these are perfect places of entertainment for people who go out to enjoy and rejuvenate after a very busy day, with assorted fine liquors and liqueurs, served along with savory and mouth-watering food and food items. The line up of options to choose from is subject only to one’s preferences in terms of taste, palate and wallet. Latvia has a rich heritage of traditional folklore, especially folk songs that date back to over a thousand years. To date, more than 30,000 melodies of folk songs and 1.2 million lyrics or texts have been identified. Baltic Germans developed a distinct cultural heritage, characterized by both Latvian and German influences, between the 13th and 19th century. For most indigenous Latvians, the peasant local pagan heritage had been preserved, partly merging with Christian traditions. For example, one of the most popular celebrations called Jani, a pagan celebration of the summer solstice, is celebrated on the feast day of St. John the Baptist. Latvian cuisine comes from its peasant culture, anchored on crops that grow in Latvia's maritime, temperate climate. It is typical of northern countries, especially those close to Finland. It's high on butter, fat, and grains, low on spice except for caraway and black pepper. If one is from the Mediterranean, one might find it bland, but if one is from England or the Midwestern US, one will not likely have any trouble getting used to it. Latvian staple food consists of rye, wheat, oat, peas, beets, and potatoes. Favorites are smoked bacon, sausage, and other pork products. And with Latvia being coastal, smoked and raw fish are common. Many types of Latvian food are flavored with caraway seeds, especially cheese and bread. A cheese similar to smoked gouda but softer, is the cheapest and tastiest. Latvian rye bread is heavy and flavorful. It goes well with hearty Latvian meals like pea soup, potatoes, and schnitzels. Restaurants in larger cities often serve stews in clay pots.